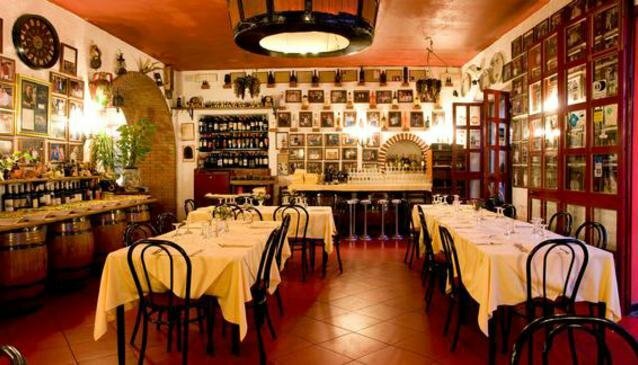 With a prime location close to Greek-Roman Theatre and an original look, La Botte in Taormina is one to visit and dine at. Wooden barrels, colourful paintings, pictures and ceramics and a lively atmosphere can all be found at this charming restaurant. The kitchen produces dishes that are fresh and pleasing on taste buds, as well as the visual senses.Try octopus salad or the swordfish parmigiana, seafood risotto and ravioli with prawns. The restaurant has 120 seats inside and also outside and can cater for any event such as banquets, ceremonies, parties and celebrations. This is a very famous and extremely busy restaurant, so do book ahead.